Ladies diamond anniversary band of classic styling crafted in 14k white gold. 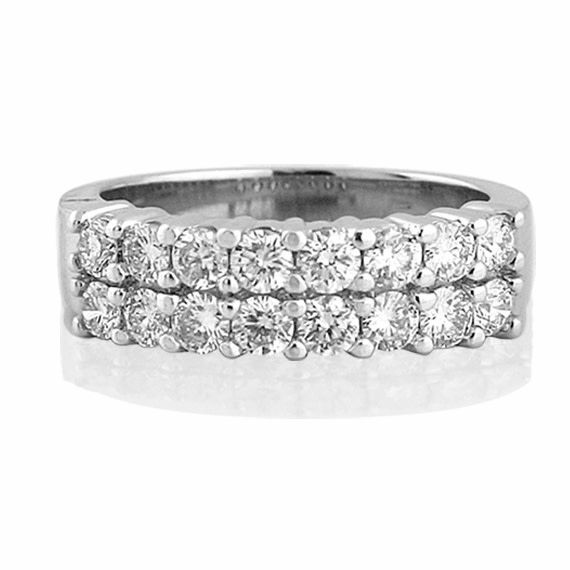 It is set with 16 round brilliant cut diamonds that are shared claw set across the top into two rows of eight. The remaining shank of the ring is semi flat in shape and high polish in appearance.